This deal has expired, click here to sign up for notifications to never miss out on another deal again. Note, Cashstar purchases probably won’t work to trigger the Amex Offer deal of $25 off $250 since this e-gift purchase is processed through Cashstar and the terms exclude that. Does anyone know how many savings codes can be used in one transaction? Is there a maximum? I was considering maxing out this deal twice, and then wanting to use all 6 savings codes on one purchase. 10 online and 15 in-store for savings codes + gift cards. Cashiers can consolidate codes / cards for you to bypass the limit if they’re willing to do so. @daxihe you’ve bumped into a limitation against using more than 15 gift cards on a single Best Buy transaction in-store? Anyone know offhand if the $15 gift code could be used towards a vgc @ B.B.? How long after I buy the 150$ gift card do I get the $15? I seem to remember a DP that you can use the savings code on merchandise and return it for a refund, which will just issue to a Best Buy GC which then can be resold. Is that true? Terms say the opposite, not sure what happens in practice. A regular GC is issued for returns. You can use the codes to buy Best Buy GC which then can be resold. No need to return merch. Ah thanks, that sounds like the easier way. Have you done this recently? I tried this summer and no dice. See the linked source. It seems to work for reasons that aren’t entirely clear. We don’t always know why things work, just that they do. For clarity, Chuck means cashstar gift card purchases, not direct purchases on bestbuy.com. This offer is purchased from cashstar. Sorry for basic question, I’ve seen conflicting info. 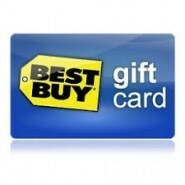 Can you use Bestbuy GCs to purchase other third-party GCs (e.g., Starbucks)? Looks like no online. I just threw a Disney card into my cart and went to payment screen – no place to enter gift card info. I tried to use three E-gift card yesterday in store to buy some regular gift cards but were declined by the system. Do people have the same experience? Cashstar screwed up some PINs and some codes weren’t activated. I would complain, since they are time sensitive and got screwed up they should pay up. Number is ‭(855) 820-0485‬. This offer is live again.